This week I was contacted by Billy Eli, a musician from Texas who is doing a performance tonight at The Brink Lounge. He was contacting us because he wanted to give some of the proceeds of his performance to Gio’s Garden. I was amazed at his generosity for a charity that he knew very little about and had not heard of until recently. So I asked why he would choose us, what made us stick out? He has two children with special needs, and understands the importance of respite and taking care of the whole family. When he was coming to Madison he searched for respite programs and found Gio’s Garden. He was able to relate to having a special needs child and not knowing where to turn for help. He read about the story of Gio and how we got started. He was drawn to our mission of helping provide respite services, but also helping the families navigate the system. We are very excited to have Billy stop by Gio’s Garden before his show and be able to see our facility and meet a family or two that we are serving. From across the country we became connected because of the need for quality care of special needs children. So many parents, like Billy, understand how much of a difference it makes in a family to have that break. Children gain so much out of being away from their primary caregivers and being able to do activities that they might not do at home; and parents also benefit from have a few hours a week of time. Respite often strengthens families and their relationships with each other. 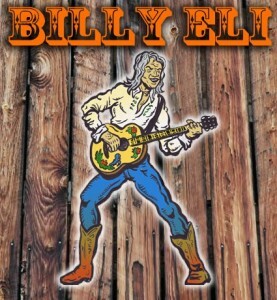 For more information about Billy Eli’s performance tonight, visit: http://billyeli.com/madison-wi-show-to-benefit-gios-garden.